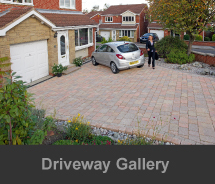 At Driveways Excel we have an excellent reputation for designing and laying new driveways that will last the test of time, looking smart and new for years. 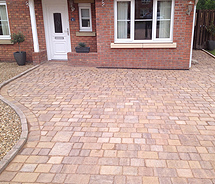 Our practical driveway solutions can only add value to your property. If your old driveway is in bad repair we also have the resources and expertise for repairing and restoring it so that it looks like new. 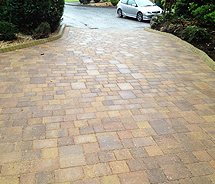 Driveways Excel uses only the very best quality materials, specifically designed and manufactured for the hard wear that any driveway receives. 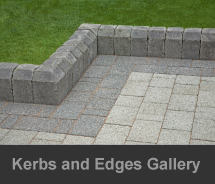 Our professional pavers will lay your new driveway in the product of your choice complementing your home’s style and location, leaving you with a new driveway that will be the envy of all your neighbours. 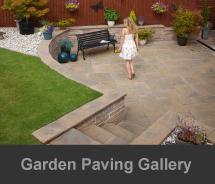 Driveways Excel is always conscious of their customers’ budgets and time restraints but we will always endeavour to produce the driveway you always wanted. 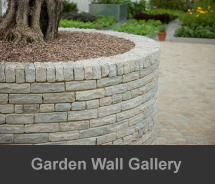 All our driveway projects are guaranteed. A mini digger will be used on driveway projects and our mini digger operator is a fully qualified JCB and 360 digger driver with full qualifications, CPCS and NPORS registered (National Plant Operators Registration Scheme). All waste will be removed and disposed of as soon as your project is completed. 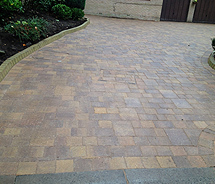 We only ever use top grade materials to ensure a solid durable finish to your driveway which will last for years. 0800 389 6797 or 07966 165998 for a free no obligation quote. 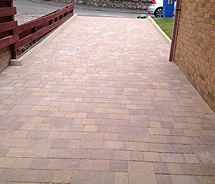 Driveways Excel has been installing driveways throughout Glasgow, Stirling, Edinburgh, Perth, Fife and Lanarkshire for over 30 years.